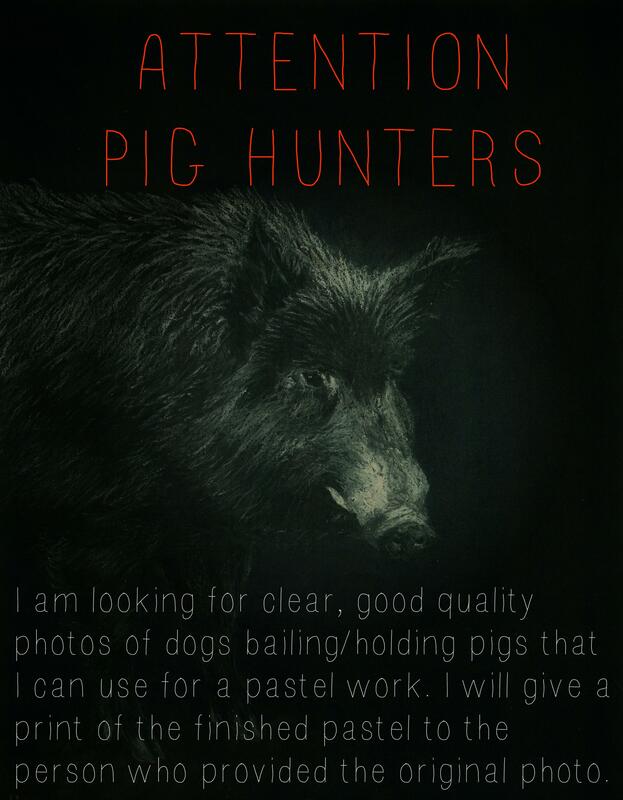 I've had a lot of people ask me for pictures of pig-hunting scenes - dogs bailing/holding/chasing a pig. Trouble is that really good clear pig hunting pictures are really hard to come by. If any of you out there have some good photos that would make a good painting please let me know. If I use your photo for the art I'll give ya a print of it when it is done and credit your name in the title. 199p and savage270 like this.